Holiday time is almost here!! Need an cute Gift? 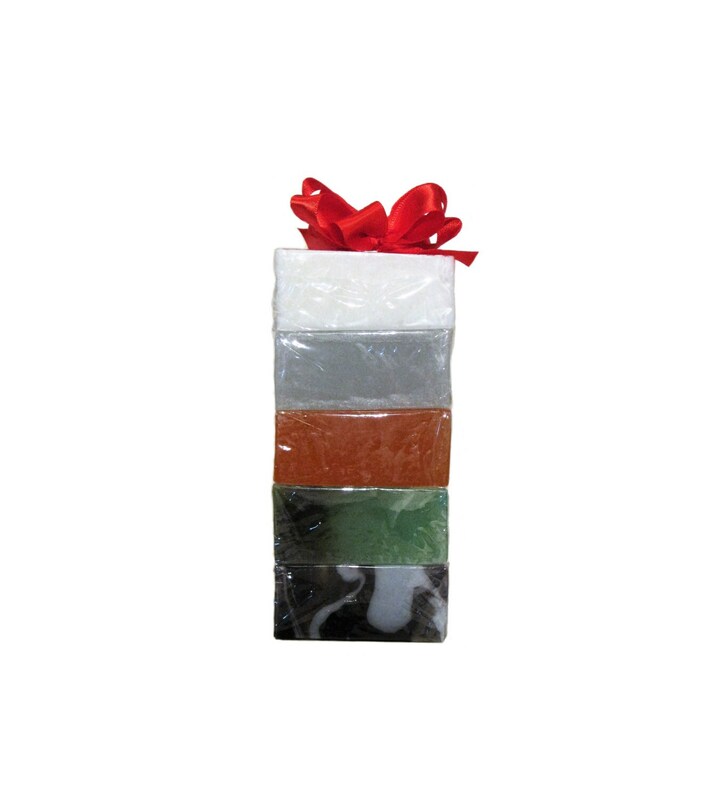 This set includes 5 individually wrapped Soap Bars of Company's choice, each approximately 2.3 ounces. We'll include luxury soaps made with natural and organic ingredients such as our BASIL BAR (to help polish dull skin), our ENERGY SOAP BAR (with organic Lime, Lemon, Tangerine, & Calamondin peel & juice), or our SOUTH BEACH BAR (with Sea Salt, Sand, Blue Green Algae, crushed organic Coconut flakes & Sand from South Beach, FL). Be sure to check them all out! 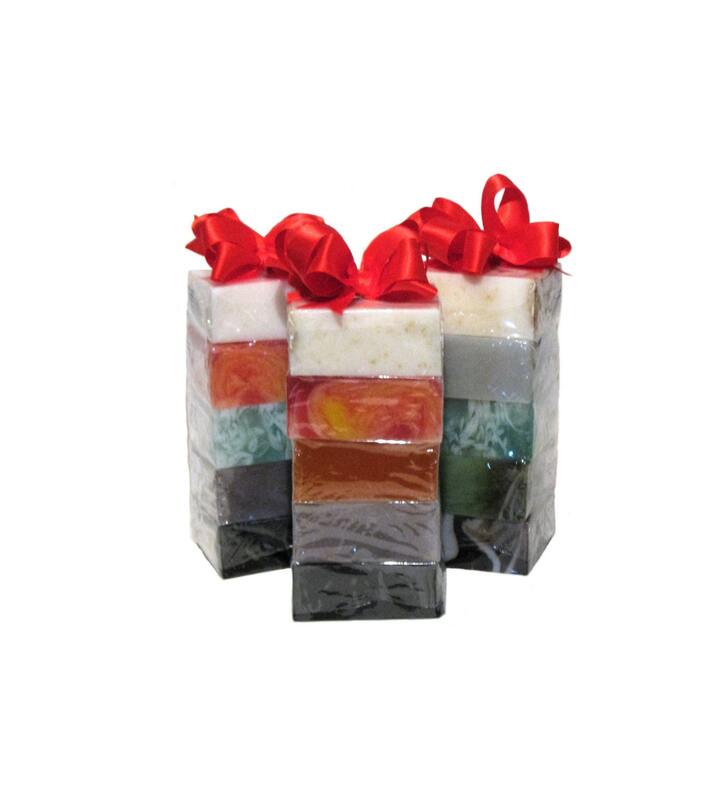 Some people like different soaps every week and they like sharing these individual soap bars with family and friends... Who knows what fantastic soap bars you'll get!! Love Soap!? Check out our SOAP BAR OF THE MONTH CLUB below! !